Versatile range of rods for every type of lure fishing with reduced, convenient transport lengths. 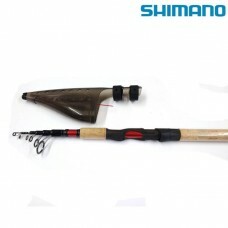 Ideal for both freshwater and light sea fishing. Shimano Catana 1000FCThe striking red colour of the Catana FC makes an aggressive statement for angl..
Versatile range of rods for every type of lure fishing with reduced, convenient transport lengths.&n..
NEW for 2018Versatile range of rods for every type of lure fishing with reduced, convenient transpor..